If you have your eye on a Keurig here is a fantastic deal at Target.com. 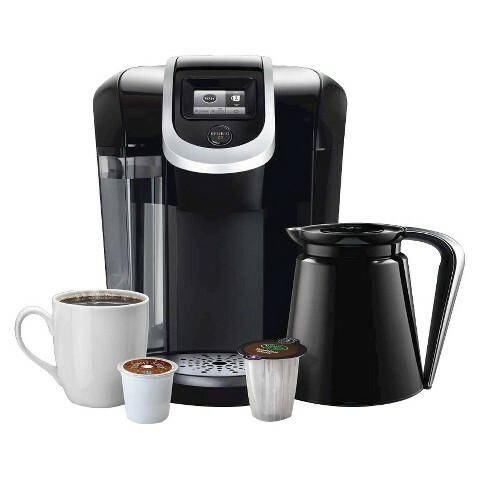 The Keurig 2.0 K300 Coffee Maker Brewing System drops to just $99.99 (reg 139.99) once added to your cart, plus, you’ll get a $25 gift card with your purchase + FREE shipping! Even better, use code TGTDYW6F to save $5 when you spend $50. That is a good price. I am sure people would like this. Fancy! I always wanted to get myself one of these coffee makers! I think it's really awesome and convenient. I've always wanted a Keurig. I have to let my husband know that the price has dropped. Thanks for sharing this. That is a super great price for Keurig. I think people would love that for a gift. That would certainly look nice on my kitchen counter! That is such a nice deal and would make a terrific gift for so many people. Omg now that's a killer deal I a kerug! I paid a lot more for mine! Yep that's a great gift idea. I loved my Keurig and I miss it so!